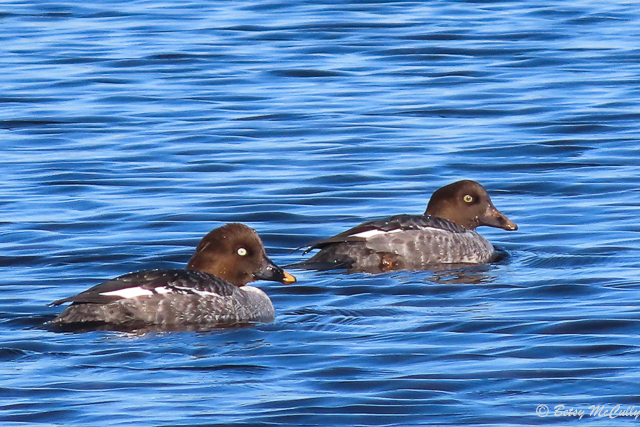 Common Goldeneye (Bucephala clangula). Female and juvenile. Lakes and ponds. Winter visitor.